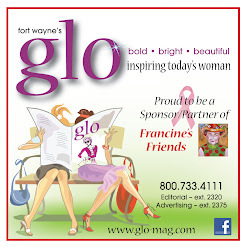 Laura Lemings, director of the LaGrange County Community Foundation, presented a check from the foundation’s “Circle of Love” campaign to Francine’s Friends mobile mammography program. Receiving the donation are Debi Kennedy, community outreach coordinator of the Parkview Comprehensive Cancer Center (and coach scheduler for the coach for Francine's Friends), along with Rob Myers, president of Parkview LaGrange Hospital. ​​​The donation will help to cover the cost of screening mammograms through Francine’s Friends for women who might otherwise have put their mammogram off because of financial constraints. 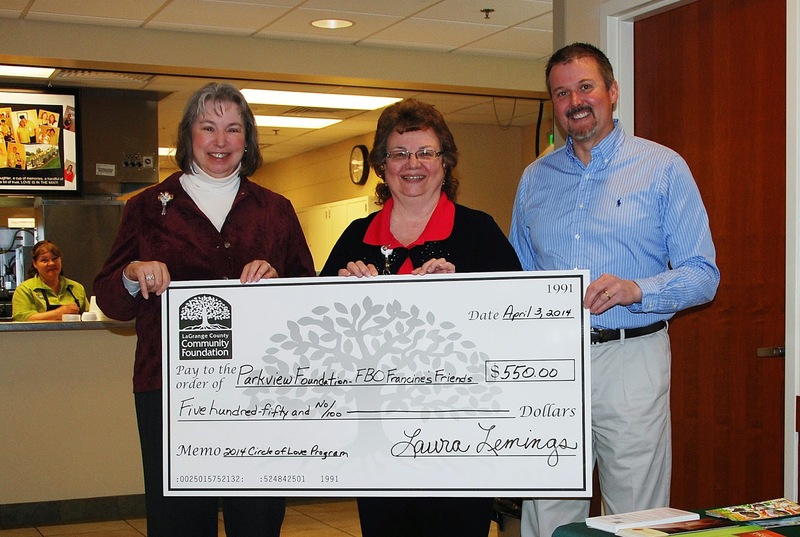 Each February the LaGrange County Community Foundation holds its “Circle of Love” campaign. For a gift of five dollars or more, the “Circle of Love” sends a valentine to the person of the donor’s choice, letting them know a gift has been made in his or her honor.